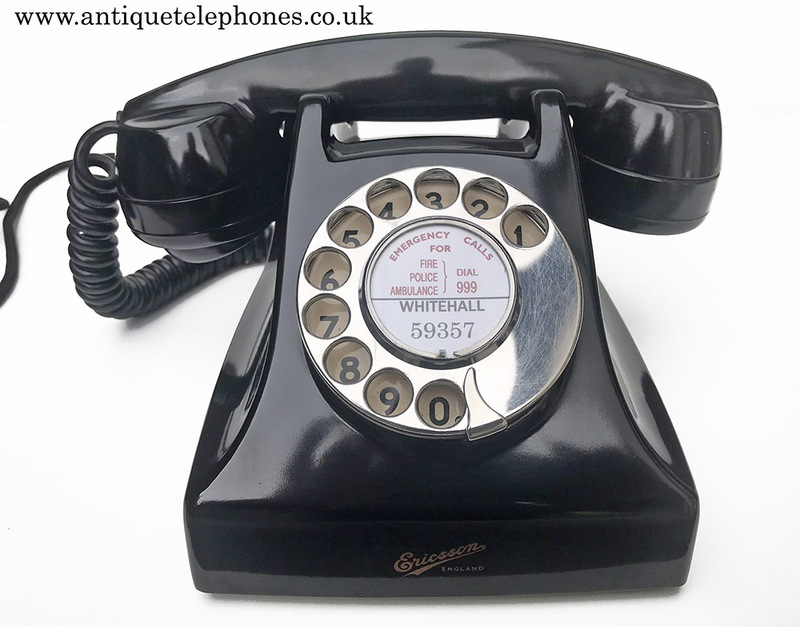 A great little Bakelite telephone at a Bargain price. 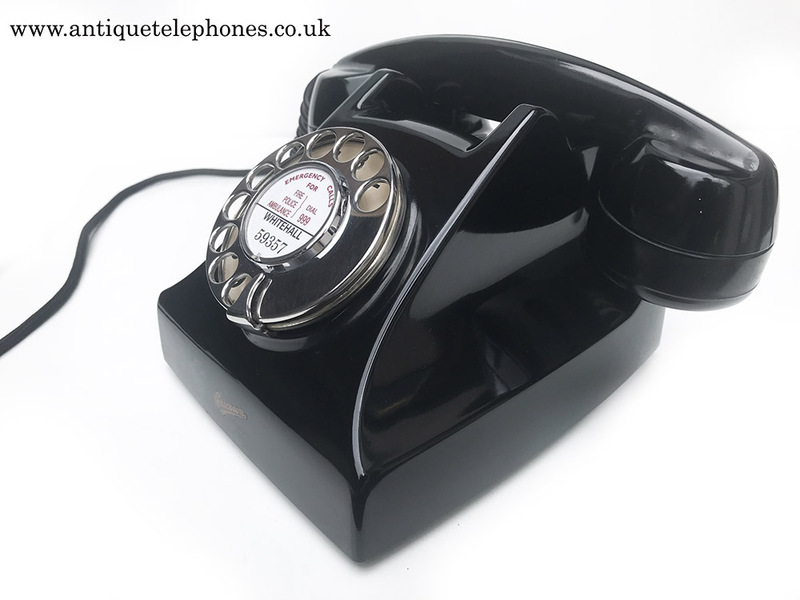 A real bargain Bakelite telephone with GPO No12 dial. 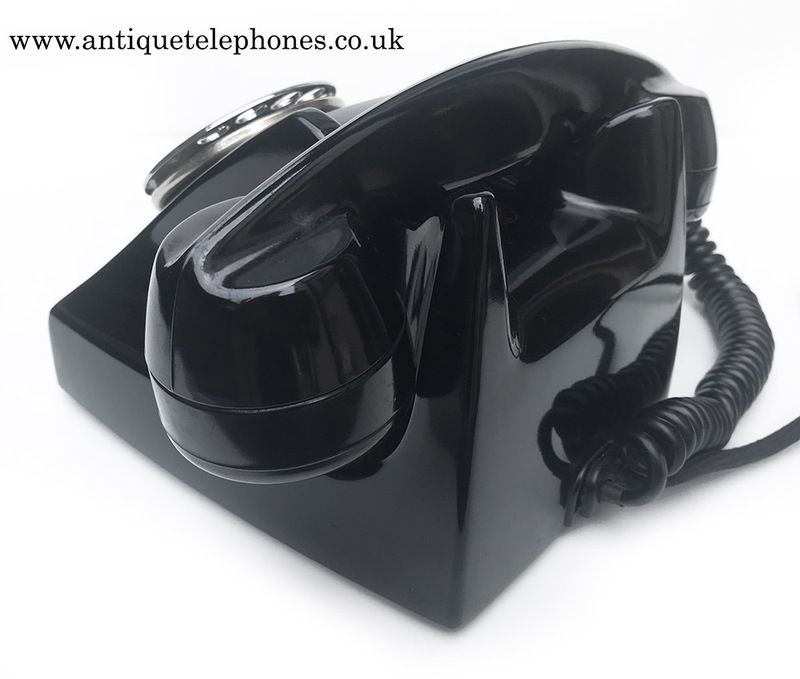 This is beautiful little Bakelite telephone dating from the mid 1950s. 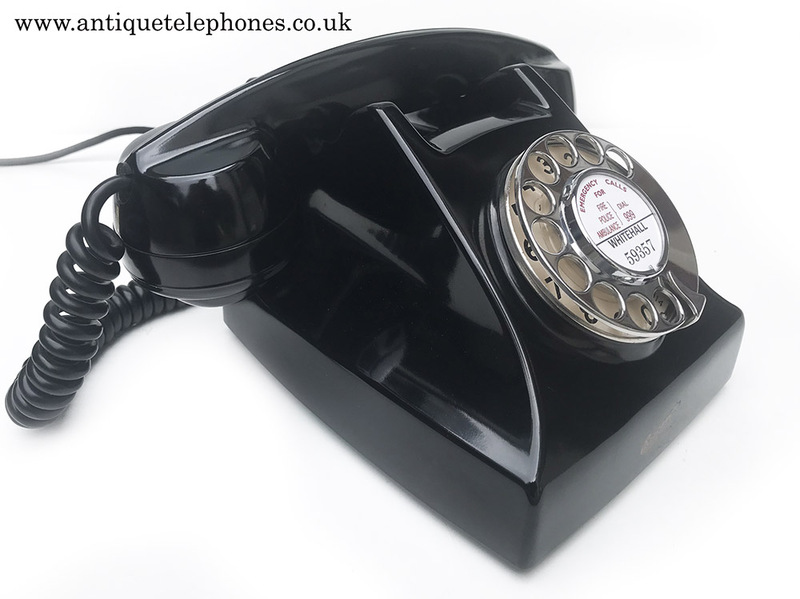 It has a genuine GPO No12 model with a stainless steel finger dial and number only dial face. 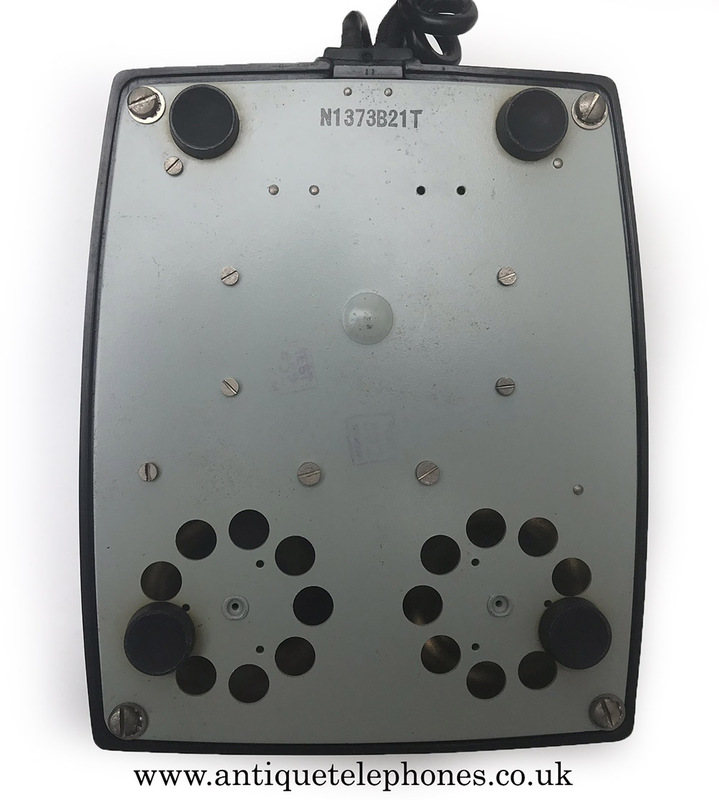 This one actually came in this condition and so I have checked it over and tested it but really didn't need much doing to it other than an electronic microphone. I guess i would say equivalent to a one owner from new with exceptionally low mileage. Grab yourself a bargain and give it a great home. 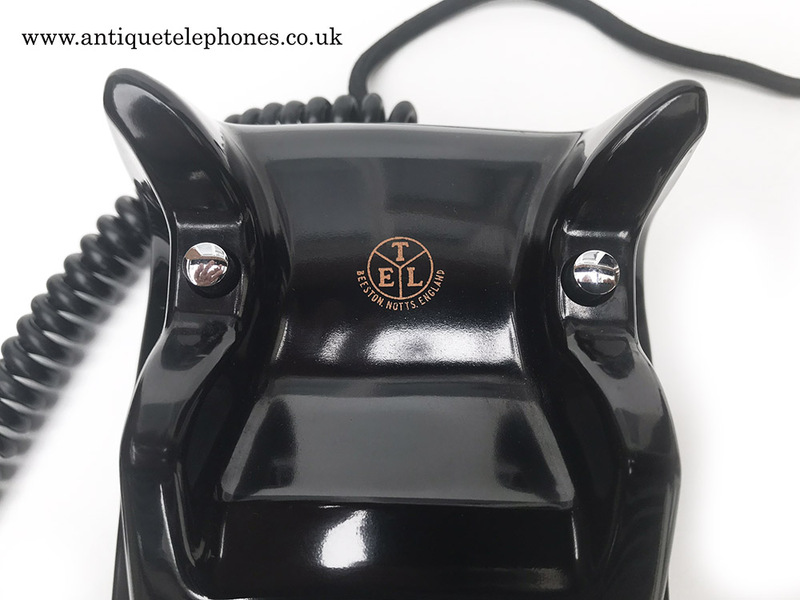 It has a braided line in cord to a Bakelite BT20/4 and a small plastic lead with a UK telephone plug as seen in the picture. This will not work on TalkTalk but will be fine on a BT line. It has a lovely loud double gong bell. This model is quite rare and could not find it listed in Bob Freshawaters web site. I might send him the details to update. I cam make a dial label with your information at no extra charge.